Louis-Charles Tiar is a media artist and magazine publisher. He recently earned an MFA from RISD in the Digital Media department. Before that he founded two cultural magazines in Spain. For 12 years he navigated them through print media’s existential convulsions brought on by the Internet. Along the way he developed a sensitivity for the intersection between printed material and digital representation. 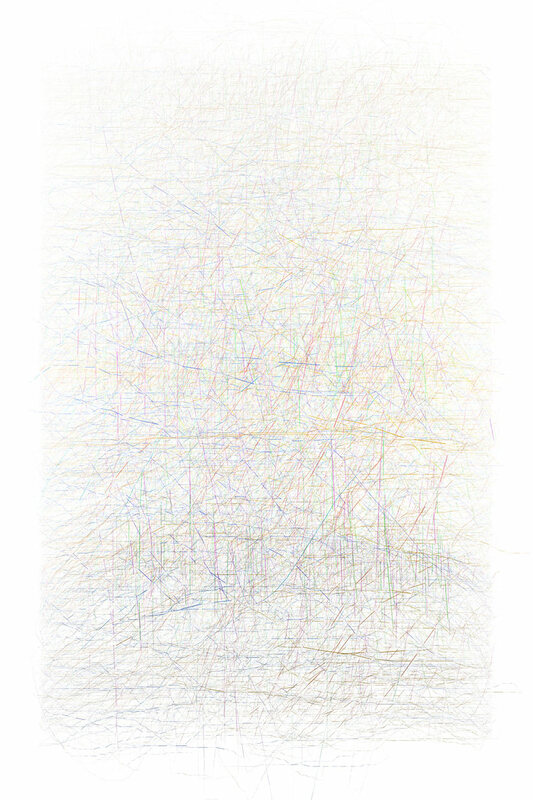 ARTIST STATEMENT: The title of this work, Damir Skarep, is the name of the freelancer I hired over the web to draw 1,000 lines using his computer mouse. He followed a design on a web interface that I had created to record each "hand drawn" line. I later rendered the composition giving each gesture’s speed an opacity, each direction a hue, and every position a saturation and lightness. Try it out: sgeda.com/demo.